Professor Wang Shicun, a helicopter pioneer, an educator and an inspirational leader for China’s aeronautics and astronautics community, passed away on June 7, 2011 at the age of 85. Born in Changsha, the provincial capital of Hunan in 1926, Prof. Wang graduated from Zhejiang University in 1948 with a bachelor’s degree in aeronautical engineering. He worked for the Shanghai airport after graduation but soon returned to Zhejiang University, where he began his teaching career until his transfer to the East China Aeronautical Institute in 1952. In 1957, he decided to further his study in the Soviet Union and received his PhD from the Moscow Aeronautical Institute in 1961. Prior to joining the Nanjing Aeronautical Institute (NAI) in 1970, he was an associate professor at China’s North-Western Industrial University. As the founder of the Helicopter Research & Teaching Institute of NAI and head of its aeronautics department, Prof. Wang held numerous senior positions in both academic and aeronautical communities, such as executive council member of the Chinese Society of Aeronautics and Astronautics. His excellence and achievements were highly acclaimed, and he was honored by the China Ministry of Aeronautics and Astronautics as an “Outstanding Expert” in 1992. He retired from the Nanjing University of Aeronautics and Astronautics (NUAA) in 1997, but continued to take an active role in helicopter technology development in China. Prof. Wang devoted his enthusiasm to the advancement of aeronautical science. During his time with Zhejiang University, he pursued wind tunnel research and published his work on wind tunnel design considerations, as well as the first related calibration report. This was the first major aeronautical research since the establishment of the People's Republic of China in 1949. During his time in Moscow, his research focus was on rotary-wing theory, and this led to the publication of his famous generalized rotor vortex theory which successfully allowed for the solution of the flowfield model throughout axial and forward flight regimes. Wang’s Vortex Model has been incorporated into The Mil Helicopter Design and Calculation Handbook. In the early 1960s, Prof. Wang channelled his efforts and energy to the development of China’s helicopter industry. 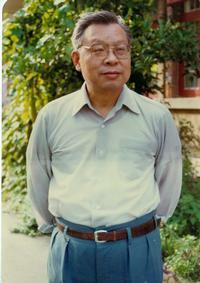 He was the author of China’s first helicopter textbook Helicopter Aerodynamics. It has played a significant role in enriching the training of professionals and development of the helicopter industry. 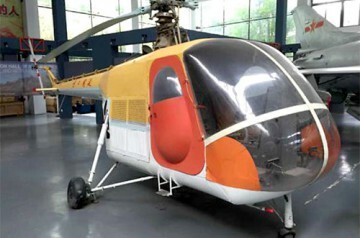 He was regarded as the Father of Helicopter Education in China. Prof. Wang was involved in the development of the Yan’an-2, the first helicopter designed by the People's Republic of China. The Yan’an-2 was successfully flight-tested in 1975. This accomplishment won a Chinese National Science Award in 1978. As one of the leading experts in aviation in China, Prof. Wang took science education as a priority and made significant contributions to both the Chinese aviation industry and the NUAA. Many key players in China’s helicopter field are former students. Under his leadership as head of the aircraft department from 1979 to 1988, NUAA made significant progress, which qualified the University as the sole Center of Excellence in Aircraft Design among all Chinese academic institutions. As a leader in science, Prof. Wang coordinated and supervised numerous research projects in helicopter aerodynamics, many of which were honored by the Chinese government for their technological advancement. Prof. Wang was frequently consulted on the design and development of China’s major helicopter programs including the Z8, Z9 and Z11. He was editor-in-chief of a number of industry publications such as Flight Quality Specifications for Military Helicopters and Airworthiness Specification for Civil Helicopters. He also authored The Helicopter Aerodynamics Handbook Volumes 1 to 6 and an entry on the helicopter for The Chinese Encyclopedia. Prof. Wang established the Helicopter Committee under the China Aeronautical Syndicate in 1985 and served as the chairman for 8 years. The committee was formed as a platform for exchange and discussion on helicopter technology within China and with the rest of the world. He also founded the China Helicopter Scholarship Fund, which provides financial subsidies to promising young Chinese students to study and work in the helicopter field. He was an active participant in international academic conferences, where he regularly introduced the latest developments of China’s helicopter industry to foreign counterparts. Overseas experts were invited to visit China for academic exchange and collaboration; this policy continued after his retirement.